Being a native of India, Satya Nadella probably did not envision becoming CEO of Microsoft—one of the most powerful companies in the world. Even so, in 2014, Satya Nadella became the third CEO of Microsoft Corporation in the company’s 43-year history. At the time, Microsoft was no longer the “cool” kid on the block—bold leadership and a new direction were desperately needed. In 2014, when he took over, Microsoft’s market share in the computing sector was rapidly losing ground to competitors like Apple, Google, and Facebook. In retrospect, you wouldn’t have guessed it had happened. 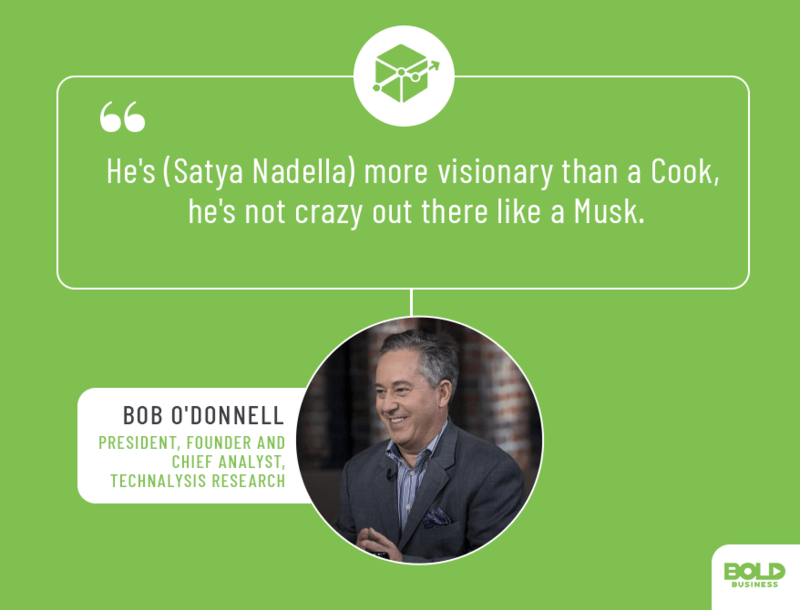 That’s because Microsoft has significantly changed and poised itself ready to reinvent the future of computing under Satya Nadella’s bold leadership. This started day one when he pronounced to the world that Microsoft needed to be ready to embrace the cloud and that their technology needed to run on all platforms. These were huge departures from his predecessor, Steve Ballmer. Ever since that day, he has delivered on his promise – in just four years growing Microsoft’s market cap from $300B to over $860B, the third largest. What makes the feat even more remarkable is that fact that when Satya Nadella took the reins of Microsoft in 2014, it was no secret the company had serious issues. Under former leadership, Microsoft had several failed attempts related to mobile computing, Internet search, and social media sectors. He also inherited the disastrous Nokia acquisition. Microsoft’s stock price had dropped significantly, and analysts questioned whether the computing giant would still be relevant in the future. Transformative change and bold leadership were undoubtedly needed. Satya Nadella saw Microsoft’s culture and its our-way-or-the-highway reputation in the tech sector as the primary problems. The culture had become toxic and plagued with corporate politics, posturing, and conflict. New ideas were harshly examined with pitches undergoing Spanish Inquisition-like evaluations. One of the things that happens when you’re super successful is you sort of sometimes lose touch with what made you successful in the first place,” Nadella told Cnet. “I wanted to go back to the very genesis of this company: What is that sense of purpose and drive that made us successful? What was the culture that may have been there in the very beginning or in the times when we were able to achieve that success? How do we really capture it? However, that all changed under his bold leadership through the “renaissance programs” he started, such as One Week and Hackathon. Microsoft’s global program, One Week, invites Microsoft’s 131,000 employees from around the world to collaborate on innovative technology ideas for the future. Satya Nadella, in essence, transformed Microsoft’s working environment overnight into one that became inclusive, collaborative, innovative and creative. Through many initiatives like this, Microsoft is regaining its relevance in the developer community, after ceding it to Google, Salesforce, Facebook, and Apple. Part of being a bold leader involves not only envisioning future opportunities but also learning from past mistakes. 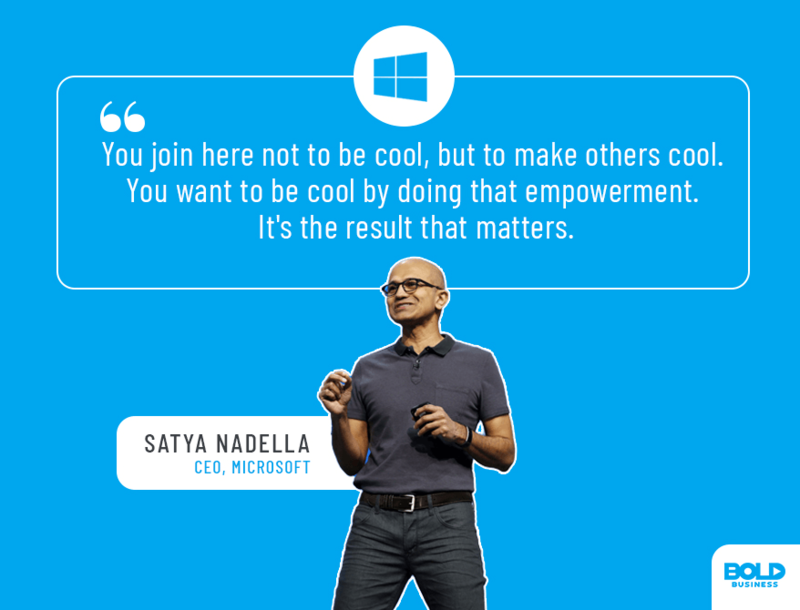 Satya Nadella certainly embodies these bold leadership qualities. Notably, several evolutionary trends in computing left Microsoft on the sidelines. 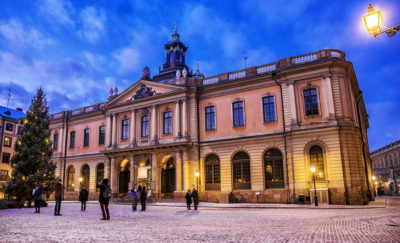 Social media and mobile technologies were perhaps among the largest. The new CEO of Microsoft’s focus was not to attempt to catch up in these areas but instead to move the company forward. Thus, by learning from the company’s past missteps, he was able to accomplish this in a very dynamic and impressive way. Satya Nadella championed change within Microsoft by moving the company away from delivering packaged software. Instead, he began pursuing two new innovative subscription-based computing technologies—cloud computing and augmented (virtual) reality. Subsequently, Azure, Microsoft’s cloud-based services division, now ranks second within this $15.6 billion industry to Amazon Web Services. In addition, he also directed company initiatives in artificial intelligence, cybersecurity and IoT (the Internet of Things). During the last quarter, Microsoft’s Azure, Office 365 cloud software, Linkedin and Surface businesses outpaced its Windows commercial products. Microsoft is now challenging Google and Apple for the Technology king with the goal of retaking the kingdom. The CEO of Microsoft’s bold leadership vision has been to create a safe and seamless experience for customers across all platforms. As a result, Microsoft’s annual revenues now exceed $114 billion, and Microsoft’s stock has tripled in value under his leadership. Bold leaders also act ethically, responsibly and for the betterment of society. Satya Nadella epitomizes these characteristics as highlighted in several Microsoft initiatives today. For example, Microsoft has committed to investing $40 million in “AI for Good” over the next five years. 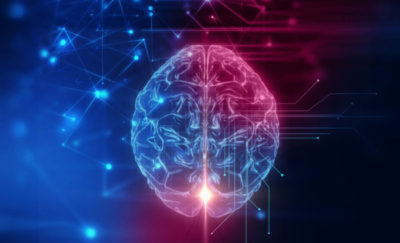 This Microsoft initiative involves the use of artificial intelligence to find technological solutions for severe global problems. Specifically, targeted global issues include disaster recovery, children’s needs, refugee and displaced persons, and human rights protections. Satya Nadella has also pushed ethical agendas at Microsoft under his bold leadership. Microsoft now has an AETHER committee, which stands for “AI and Ethics in Engineering and Research.” The CEO of Microsoft believes it is the company’s social responsibility to deploy AI in a trustworthy and ethical manner. In fact, Microsoft has halted some already-started AI projects solely because of ethical concerns. 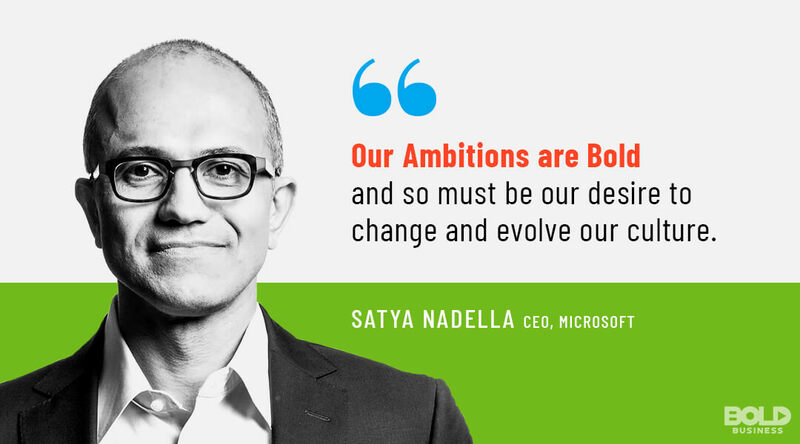 By placing societal empowerment and advancement over profits alone, Satya Nadella personifies bold leadership. Just as he is proving with his actions and strategies, win-win scenarios can be created when companies pursue things the right way. Market analysists are bullish on Microsoft these days—and for a good reason. Satya Nadella has demonstrated precisely the bold leadership needed to reinvent Microsoft as an innovative and transformative company. Nevertheless, Microsoft is not looking to go at it alone. As the CEO of Microsoft himself has pointed out, empowerment comes through collaboration and partnerships. In point of fact, Microsoft recently announced its Open Data Initiative at its annual “Ignite” conference. This initiative involves a partnership with SAP and Adobe to advance interoperability among platforms. Satya Nadella has a clear vision of how to make Microsoft successful. Nonetheless, he also has a broader vision that encompasses all individuals, all societies and the global community at large. By all accounts, Satya Nadella reflects the bold leadership needed in today’s businesses.